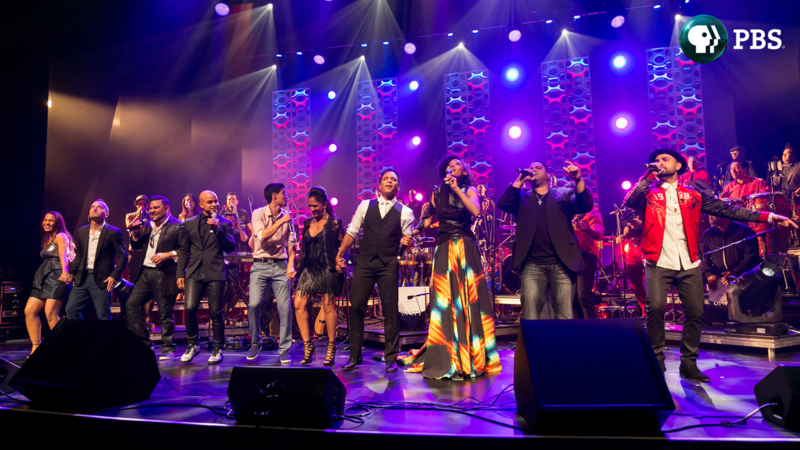 ARLINGTON, VA; September 10, 2015 – Iconic songs will be heard like never before – with inventive, energetic and distinctively Latin twists – when PBS premieres UNITY – THE LATIN TRIBUTE TO MICHAEL JACKSON on Friday, October 9, 2015 at 9:00 p.m. ET (check local listings). Hosted by the legendary percussionist Sheila E., the concert special features 10 of Jackson’s greatest hits interpreted byaward-winning Latin artists with a 37-piece orchestra, and kicks off the fifth annual PBS Arts Fall Festival. Also airing on October 9 will be the 28th ANNUAL HISPANIC HERITAGE AWARDS at 10:00 p.m. ET (check local listings). The legendary Rita Moreno will host this special evening, which is the country's highest award paying tribute to Latinos by Latinos. The evening includes live performances and appearances by some of the country's most celebrated Hispanic artists. The Hispanic Heritage Awards were created by the White House in 1987. Funding for the 2015 PBS Arts Fall Festival is made possible by generous support from the Anne Ray Charitable Trust. • GREAT PERFORMANCES“Billy Elliot the Musical” (Oct. 23), a production from London’s West End; “Chita Rivera: A Lot of Livin’ to Do” (Nov. 6), featuring the legendary Broadway star; and “Andrea Bocelli: Cinema” (w.t.) (Nov. 27),with the renowned tenor in a concert that pays tribute to the silver screen. • LIVE FROM LINCOLN CENTER“Kern & Hammerstein’s Show Boat in Concert with the New York Philharmonic” (Oct. 16), the groundbreaking musical with an all-star cast led by Vanessa Williams; “Danny Elfman’s Music From the Films of Tim Burton” (w.t.) (Oct. 30), featuring scores from films such as Batman, Beetlejuice and Pee-Wee’s Big Adventure; and the Tony-winning play “Act One” (Nov. 13), based on the life of playwright and theater director Moss Hart. • FIRST YOU DREAM – THE MUSIC OF KANDER & EBB (Nov. 20), a tribute to the legendary award-winning songwriting team of John Kander and Fred Ebb. The arts is a cornerstone of PBS’ Friday primetime lineup in the fall, reaching more than 15 million viewers last season and underscoring PBS’ ongoing commitment to give audiences the best of the arts on-air and online. Most programs will be available online at http://video.pbs.org/ following their broadcast premiere. For more, please visit http://pressroom.pbs.org/.